Finally finished with this desksketch, of course by finished I mean “good enough that I can just go do something different now”. 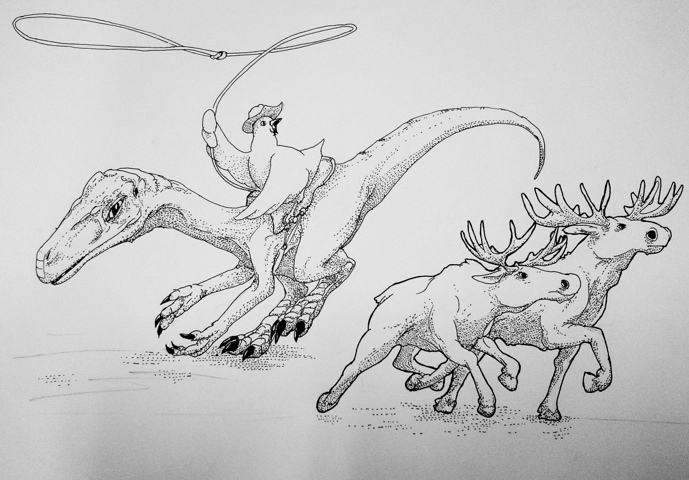 This entry was posted in Quick Desksketch and tagged chicken, Dinosaur, moose, theropod by Anthony. Bookmark the permalink.